In the very compact switch category, I'm a big fan of the NetGear GS108T. It's a small 8 port managed switch that will allow you to disable the EEE features, which their other Prosafe models will not. About $60. I have two of them in my recording rack. Just an FYI that we just discovered (the hard way, they actually caused problems on an install). Shure has an additional list of disqualified switches beyond the list at Audinate's site. GS and FS305, 308, 316, 324, 605NA, 750E"
Thanks for that, I'll have to look up what all they list. But, the GS 108T is a managed switch, and it's specifically not included with that list. The NetGear line is somewhat confusing, as their Pro Safe switches are broken down into non comparable differentiations. The GS 108T is a managed switch which allows you to turn off EEE or Green ethernet as they call it. The GS108Ev3 is a managed switch for which you can not disable the EEE. (found that out the hard way too). And they look nearly identical, and are in the same price range. 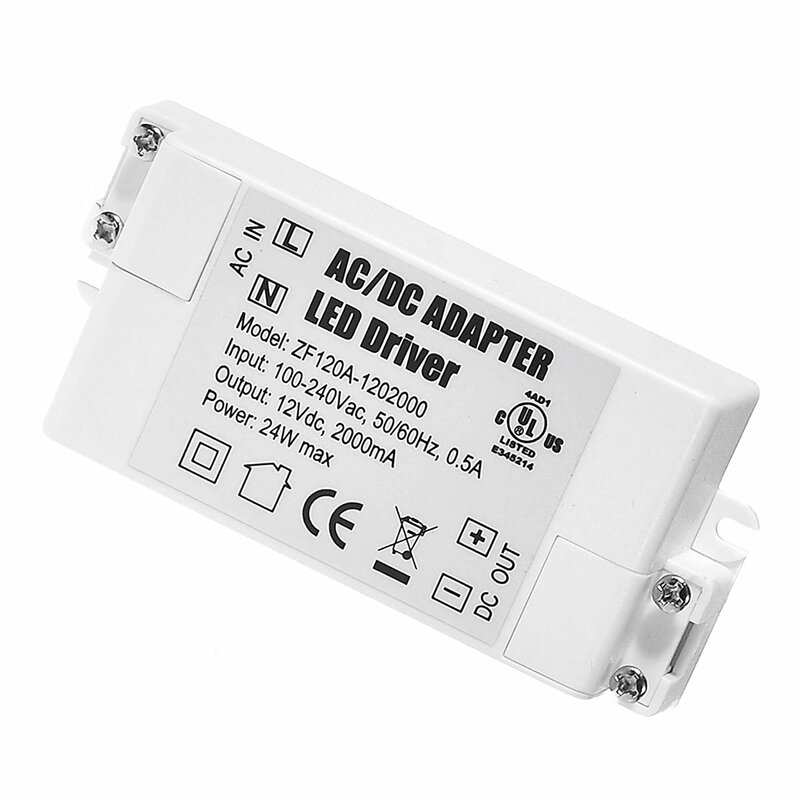 Not sure I'd recommend an LED driver - those are designed to be constant current, and can be a bit variable in actual voltage depending on the load. Not sure if that one is that way, but you get the idea of what I'm suggesting. Basically, a "Mountable" power supply of some sort is what I'm getting at. There's millions of them out there, doesn't have to be this one. Just the first one I saw on the 'net. I have a GS108PE, haven’t had any issues with it so far (knock on wood). Do you know what the issue could be with it? After the last Shure firmware update the ProSafe unmanaged switches would not allow the Shure Utility (GUI interface to their devices) to function correctly. It would lock up while attempting to connect so no control could be achieved. Shure would not provide any additional assistance since the switches were on their disqualified list. If you're not locking down your wall warts or better yet, replacing them with something that can be mounted, you're just being lazy! I have one of those power strips in the doghouse of each console. Love em.